I’m a big proponent of convenient nutritional supplementation when it truly contributes to one’s life and health. 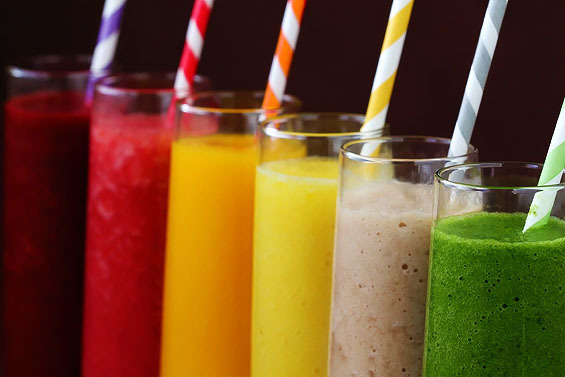 This might include a wide variety of shakes, smoothies, portable snacks, and prepared foods. People keep asking me about Soylent. Their creepy “promotional” video when you arrive at the Soylent website could easily be something from a science fiction movie. In fact, it sort of is from a science fiction movie. 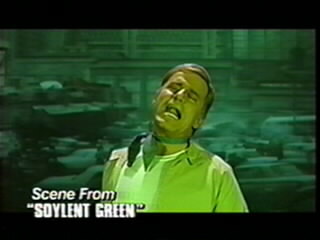 In the 1973 sci-fi film SOYLENT GREEN, it turns out the product is made from people. The humour was intentional on the part of the contemporary Soylent, but the irony is deafening. I basically find the whole idea kind of repugnant. Do we want to just eat wallpaper paste so that we can spend more time on our computers or on the treadmill (literal or figurative)? Soylent’s depressing ingredient list should speak for itself. Unfortunately many people still rely on advertising or the completely useless white NUTRITION FACTS box when they are deciding what to eat. The ingredient list is the only morsel of honesty left on food packaging, and even then it takes a little knowledge to interpret it properly. The first ingredient on Soylent’s list, maltodextrin, should be a dead giveaway. I don’t need to write in detail about maltodextrin, because there are so many great articles explaining why its a worse-than-sugar, chemical pseudo-food. These types of products consistently fail to provide adequate nutrition in the longterm. They are a processed and “fractioned” fake foods with the addition of chemically isolated nutrients. Sadly, many people still do not understand why this is bad. In an desperate poverty or disaster situation, maybe this makes sense. But even then, there are healthier options made from real food that are similarly efficient. 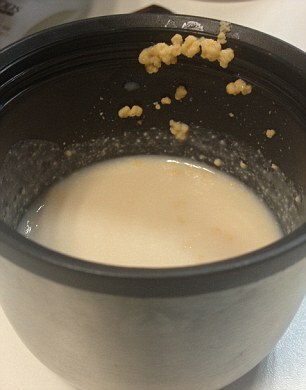 Is your life a desperate disaster that forces you to drink nutrition sludge to survive? I sincerely hope not. Yet that’s exactly what some people are choosing as part of a confused attempt at life optimization. For modern city dwellers, meal replacement is an opportunity to load up on dense full-spectrum nutrition, the stuff we most likely lacking in our already dangerously stunted modern diet. On a more human level, I believe that an optimally healthy and sane human being requires colour, flavour, broad nutrient diversity, and the social act of food preparation and eating. To never want to “worry” about food choices, cooking, etc, I think is a disorder in itself: A sad modern disconnect from life and nature and a form of anorexia/orthorexia that would be best treated as such. Or at least have a meal replacement drink composed of real food. – An article on the consequences of feeding mice an entirely powdered diet. I work with my clients to determine the best meal replacements, prepared foods, and convenient snacks to optimize health in a way that fits individual lifestyle. Parallel to this, I seek to joyfully connect people to real food, its origins, the environment, and the human aspect of eating. For more about what you should be doing to supplement, please have a look at some of my previous articles or give me a call!